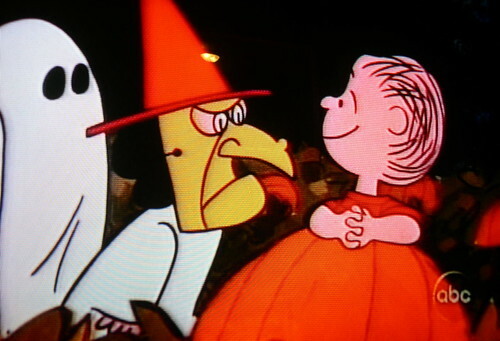 the other night JKo, RegularJoe and I watched the classic halloween toon, "It's the Great Pumpkin Charlie Brown" via Flickr. Actually, they caught the east coat feed and i caught the toon during the west coast feed. those two(Jko and Joe) crack me up! it was fun being a 7 year old all over again for a half hour. 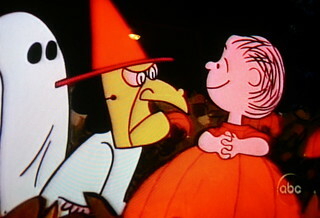 no tricks for those two, just lots of treats!